* This ability comes from life experience. The experience of a wide variety of lives and a lot of them stays with us as we continue incarnating. * Empaths recognize vibrational frequencies in others that they have experienced. This happens through vibrational resonance with your emotional field. * Foe example: The vibrational distortion of pain (yes, pain is a “distorted” vibration) is the same for everyone, the only things that is different is the experiences that created it, that is personal. it is the same for all emotions. * empaths recognize the frequency in others, they feel it. It is feeling what other people feel. However the emotions that they feel are not the other persons emotions directly. It is their own emotions, their own emotions brought forward through resonance from the other person. This is not a well understood fact about empaths, but it is helpful to know because it takes the empath out of victim mentality. If you believe you are just this giant sponge picking up on what other people feel the empath can feel like a victim and become isolated, depressed and in constant search of protection. * Ultimately empaths are not feeling other people emotions they are feeling their own emotions brought forward by the other person. They are your emotions which means you have the ability to control them. * Empaths are usually older souls and this ability is due to their legacy of life experience. It is easy to have compassion and empathy to a high degree when you have been around the block. Compassion and Empathy are old soul traits. There are a couple main downsides to being an empath and they both stem from misunderstanding and mismanaging the ability. This is the shadow side of this ability and it means the ability is being mismanaged. If you are isolating yourself then your empathic abilities are running the show, you are not. If this is happening and you are withdrawing education is a must. As mentioned above, these are your feelings you are feeling. They have been brought up by another person expressing this feeling. This happens so you can potentially deal with your own fears, it allows you to evolve much faster. “This is not mine”. Control the ability by calling out what you feel. The connection between people is commonly expressed in spiritual circles as unity consciousness, law of one, collective consciousness, blah blah blah. This connection is palpable for the Empath and there are times, like most of the time, when you do not feel like being accosted by other people’s emotions. When this happens its time to ask and get a baseline about what is happening. Start by saying out loud “This is not mine.” If it has originated from another person you don’t desperately need to work on it yourself it will disappear (the recognition that it is not yours cuts the feeling out at its root). Saying “This is not mine” is very powerful. You can continue the inquiry by then becoming still and asking: “Where/who did this come from?”. Clear your expectations and you will get a sense of who or where it came from. You will be surprised where it comes from sometimes (its a little weird). Once you have an understanding of the situation, TRUST IT and let it go, and re-center yourself. The more you do this the smoother and easier it becomes and the more control you gain. It is a little crazy at first, sometimes the feeling will come back and you have to clear it again, this is normal. You are incorporating a new pattern and it takes consistency and commitment to do that. The more discipline you exhibit by calling out what you feel the faster and more empowered you become. Being an empath is not about being controlled by the ability its about mastering it and making it a tool in your tool kit. Stonewalling – Denial of ones abilities. This is the other shadow side of empathy and comes about from mismanaging this ability and not understanding it. I see stonewalling in people I recognize as being an empathic all the time. They actually become the opposite of empathic and seem as though they are completely disconnected. I see this often in people who hold a belief system that does not condone the ability they have. As a result they go about their lives in a very confused way where they act opposite to what they pick up in order to fit in and hold their limited belief system. I once met a man that struggled with this, he was incredibly annoying, he would constantly push peoples buttons and challenge them especially on metaphysics. I saw the conflict inside of him stemming from his refusal to recognize and manage his deep empathic ability. This made him a bully and spurred him to create the same conflict in his outer world. Another woman I met had this ability, however, her religion denied this ability was “godly” they said it was “not divine or natural”. She was constantly confused and could never understand what people meant or how they felt, she felt lost. This was because she had fundamentally rejected her own emotional reference point because someone told her it was wrong. Because she was not allowed to recognize her empathic abilities she was unable to interpret the world around her at all. This is because empathy is directly connected to our emotional bodies, its a sensitivity and deepening of them, not a separate entity. Empaths feel accosted all the time by their perceptiveness. This often garners disorders in the the empath as they try to cope. Popular addictions such as: Overeating, Drugs, Alcohol, etc. They feel that this pattern creates a barrier between them and the world its a coping mechanism and a protection as well. Alcohol and drugs create a mental fog and false emotional highs. Over eating is an act of looking to feel safe and protected. They feel comfort in food. Sometimes empaths cut themselves or create other physical pain in an attempt to express what they are going through inside. Especially if they are constantly perceiving aggressive and low vibrational emotions in their environment. Poets, Actors, Writers, Healers, Psychics, Parents, Teachers, Artists, Policemen, Leaders, Politicians, designers,… the list is endless. In fact I can’t think of one job where the depth of understanding and communication of a balanced empath wouldn’t come in handy. Your depth of perception gives you a leg up, you can feel where things or going or what people need therefore you can be one step ahead. The depth of character that someone has is often a trait that garners great respect in others. Sometimes it can be seen as the “Je ne sias quoi” or “I know not what”, that something extra someone has that makes them irresistible and intriguing. Empaths also have a particular aura around them, a sense of compassion and understanding, people feel comfortable talking to them. They have an ease about they with people, which makes them a natural healer. The responsibility of being an empath is great, but the rewards and skill to help and inspire others through this ability is greater. It should be simple, right? You do the work, clear out some baggage and start making steps towards living the best life possible yet you find your self sabotaged. You realize, now that you’ve taken responsibility in your life that, you are responsible for it. You realize you are self sabotaging. Why do we self sabotage? Often times our higher-self will push us to live out our highest purpose, yet ultimately it creates conflict because our subconscious remember us being in similar situations and being traumatized. This relationship between the subconscious memories and higher-self is what pushes us to release old fears, however there is a lot of self sabotaging along the way. Lightworkers, often experience this when they start to unravel and remember their esoteric knowledge and talents. They have a push to heal, teach, write etc, yet they find themselves inconsistent and struggling with blind-spots and fear. Many times the root os self sabotage is trying to keep yourself safe. * T.V, Internet, Friends, Cellphone etc. There were many occasions in history where people speaking their truth and having skills in the area of metaphysics were killed, tortured and shamed for their abilities. Even in our recent history, Martin Luther King, Abraham Lincoln, JFK, John Lennon and countless more died because they spoke their truth. There are of course many past lives where their abilities were respected and honored as well, but fear takes the front seat until you release it. Your signature energy carries vibrations within it from all of your incarnations. When there is a vibration that is inconsistent that means that there is a misunderstanding about your place in a situation, you are not holding a viewpoint of an event that corresponds with source. Or in other words, we develop partial vibrations or inconsistent vibrations when we see ourselves as anything but divine. So if we are burned at the stake in a past life and feel shame or fear to live our souls purpose in this life that fear is a specific vibration, one that you must reconnect with source. Usually while I am working on a project that involves coming forward and speaking or writing about spirituality I begin to get conflicted. I feel blocked sometimes paralyzed. I know that this is my fears coming forward to be released and that I am in a situation similar to a past life where I get hurt. 1) I am asleep. I hear someone enter the house downstairs. I hear them coming up the stairs entering my room. They tell me. “Don’t talk about this. Don’t tell” They then slit my throat. I feel everything. I am terrified. 2) I am speaking to a mermaid about what i am going to say. I am going to talk to a group of people or write a book. Then walk home and a man shoots me in the shoulder just under my collarbone. It doesn’t affect me and I run for it, down a hallway. I then am stopped by a couple people and a needle is stuck in me. I see the word “Laudanum” and hear it spoken in my head. I die. 3) I am watching a group of primitive shamem, escape down a ladder. They look kinda like Gullum from lord of the rings (poor guys). They had covered their body with grey ash in order to hide from the people that were chasing them. When we have fears in our subconscious from past experiences they will keep resurfacing until you can release them piece by piece. Regression therapy from a good hypnotherapist is helpful because it lets the cat out of the bag and you see exactly what you are working with. This allows you to kill it from the root, it also opens your eyes to all the ways past traumas are surfacing in your life today. Once you know what you are dealing with you can begin to take the risks knowing that the fear is not valid. Then you can take small steps to build confidence by starting to practice whatever it is you want first in small ways, then progressing into more pronounced. The fear will “Echo” and challenge you through out this process to try to get you to stop. This is just the last little waves looking to be cleared from your energetic body. Ultimately they get weaker and weaker the more you affirm that they are not aligned with your divine identity/purpose. Living our genuine purpose, by default, will bring forth all that is fearful to us, our fears and highest purpose cannot co-exist. We must accept that and adjust our expectations and perspectives accordingly; not in a hopeless, self sabotaging way, but in an empowered, peaceful, trusting way. Disasters – we create them. The capacity of the disaster is in direct correlation to the level of consciousness on the planet. Disasters happen on this planet because the collective consciousness is unable to integrate transitions fast enough. That means a significant amount of peoples frequencies were lower than the current vibration, creating a lag. Some people need a louder alarm than others. It is a difficult truth but many people needed the gulf disaster to happen. It got them to question the government, big business, and prioritize. These events break us open and strip us of distractions, they enable us to change by taking away what we are most afraid of losing. However when people are connected to themselves and source (which are their frequency barometers) no wake-up calls are needed. We are able to go within and sense what is going on, use our intuition. An energetic barrier actually happens around the planet when we get beyond the threshold. No disasters can happen when there is an energetic consensus between the collective consciousness and the universal source. We are moving towards this place. We are getting there but it is always darkest before dawn. 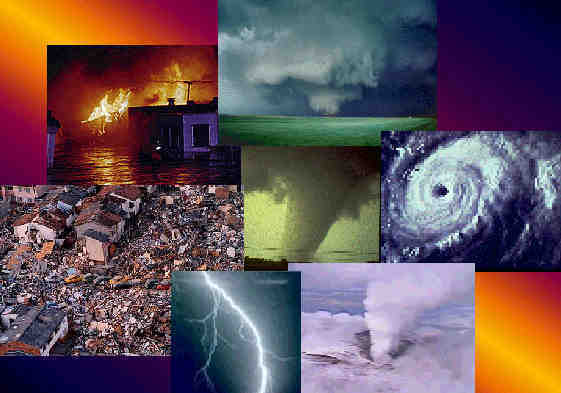 The impact of technologies designed to control weather weakens as well. Its like trying to bake a cake at 100 degrees, it will never cook. Safe places and predicting disasters. All the attention put on researching and guessing on where the safe places would be better invested in learning how to connect with your higher self. When you begin to trust that ability it will lead you to exactly where you need to be. It has been doing it all your life, and you are still alive. Predicting when, where, and to what magnitude an event will occur is always a gamble, even for the best psychics. It’s important to not get caught up in timelines because it takes away from experiencing an authentic experience (with something like that looming in the back of your mind). It also creates worry and fear which will disconnect you from your higher-self. Read them if you are interested; but know that they represent a possibility. Beyond that, times are changing really fast right now and many opportunities have passed to make that prediction obsolete. When vibrations weren’t increasing at this rate predictions held more value. As difficult as these times can be we have to keep the big picture in mind. The Earth and her weather is directly associated with OUR vibrational frequency. Right now frequency shifts are happening at an ever increasing rate so there is going to be more room for “energetic lag”. There are going to be strange things happening, as well as sad things happening, not because we deserve it but because it must take place to expand. There is no reason to be afraid, worried, or in any state of fear. Fear based attitudes only add to the problem. For light-workers : this is their time to shine, being examples of peace and fearlessly expressing your truth will ease the transitions. You taking responsibility for your path energetically enables and supports someone else in doing the same. Someone that you probably don’t know will benefit from you not procrastinating, or you standing up for yourself. That is the beauty of humanity’s connection, we affect each other. We may feel alone and isolated at times but that just undermines our power. Are you connected to the Lion Beings? Many of the Indigo’s feel very akin to the cat beings, as they share many qualities with them. A passion for truth and the destruction of what no longer serves us. If you have a natural ability to lead it is most likely that you are connected with these beings. Lion beings often appear in meditations or dreams when you have reached a point in your life where you are taking more responsibilities or taking a risk. You are also probably have a connection to the cat beings if you relate to their character traits and share their views on life. As I was drifting off to sleep I felt a presence in the room and in my mind I saw a lion being. Strangely enough he was a steely blue color, I felt like I knew him. He had a grecian style flower crown and appeared to be wearing a monk like robe. Very interesting choice in clothing, I know. He said nothing to me, he just looked at me with these powerful, soulful eyes. As he looked at me it was as though he was waking up memories in me, it was very powerful. We had a nice telepathic conversation where he imparted some information about who they are and what they stand for. Lion beings embody the traditional archetypes of the lion here on Earth. What blew me away was his level of confidence and pride. However it was clear that his elevated view was not about HIS personality or even about HIMSELF. It was about his rock solid connection to source. Cat beings never excuse themselves for who they are or what they do. They wouldn’t expect anyone else to either. They take full responsibility for themselves which is why many other beings look up to them. There is a deep understanding that they carry that transcends colloquial activities or pettiness they get straight to business. They are an extremely ancient race and a core race for many other races out there. Their deep wisdom comes from a lot of life experience. They are teachers, but usually an advanced teacher one needs to have a certain amount of understandings in order to comprehend what they have to say. They must have a deep mastery of emotions and a sharp mind. They have the heads of lions, yet walk on two feet like a human. They are much stronger and larger though. Their fur comes in a variety of colors ( I wonder if that has significance, hmmm) and covers their body. When a lion being is wearing a robe it it means they are “in service”. They have many different eye colors. Lion beings are natural overseer’s and obvious leaders in Star Alliances because of their fierce dedication to expressing source and their innate diplomacy. They also are good at staying objective and tend to not get overly involved in conflicts. When I am talking about these beings I am referring to them as balanced archetype. I am just taking the qualities that exist in their vibration from my experience with them. I am not speaking about their evolution or the lessons they have had to learn as a race. They have struggled and evolved as other races have but in their antiquity (compared to us) that was long ago and as a race they are very balanced. They live from their center in complete confidence, this is where their stereo typical pride comes from. One reason that they are so confident is because they carry a huge amount of wisdom with them. when you contain that much wisdom you really have no time for games. They can be misunderstood because of their level of independance. They do not need the energy of others to feel good, even at their highly evolved state they do not look for synergetic relationships as much as other races do. They are very good in social situations fantastic with politics and interacting they just don’t crave energy from other people they have learned how to live strictly from source. when Lion beings work with you they look for a certain amount of confidence and independence as well. They are naturally drawn to that. They will not coddle you their lessons involve strength through finding your individual core. From there they believe anything can be possible, but it must begin there. Lions are known as the king of the jungle and lion beings are highly respected in the universe and are looked upon as inspiration and for guidance. One of the reasons they are so revered is their phenominal abilty to inegrate information. They don’t get stuck understanding something but unable to carry it out in their daily routine, they talk the talk and walk the walk. They balance their emotions, mind, body and spirit seamlessly. This character trait is also responsible for their reputation as fearless and protective beings because they protect themselves by being fearless in erradicating any paradigmns that are damaging. They are great sages and seer’s because they are not afraid to see themselves for what they are they have the ability to see others as they are. They can be misunderstood at times because of their silent unquestionable confidence and wisdom. It can be intimidating and percieved as pride. It is because they take living in accordance with the divine very seriously and do not feed into other beings need for energy and attention. we can learn a lot from these beings about being sovereign, as maintaining personal soverignty is very important to them. In their soverienty they can be misunderstood as being overtly confident or rude, they are not, they seem that way because they do not need the energy of others to feel good. The Lion being that visited me pointed out the word sovereign contains the word “reign” which means to rule. It is no wonder that these regal beings are looked to as leaders. Their approach: complete dedication becoming sovereign. Looking outward for energy/stimulation/answers/purpose is our biggest challenge. They see our co-dependancy as a distraction that prevents us from regaining our power. They believe everyone should become the masters they are meant to be and walk in their power. They believe this is done by being fiercely honest with yourself and by taking responsibility for your evolution. They believe in taking bold steps and giving the universe opportunities to meet you. They think every moment can be used to evolve your soul and should be lived bravely. They have really grown to see the big picture,so there is not much sympathy, just encouragement and a tremendous amount of energy from them should you take their advice. Lion beings also have a deep and strong repsect for the feminine. they honor the feminine greatly. When I asked the lion being about their view of the feminine he said as a male I may contain the wisdom of how things are, why things work in the world around us but the feminine is the creative force she brings through new information, nurtures and acts a catalyst. Female lionbeings are greatly respected for their ability to balance the feminine principal and push their evolution forward. The Sphinx was originally a Lion Being. Egyptians had established contact with cat beings and worked with them. Sekhment was a goddess that helped them in war and was connected to the sun. Lion beings have quite a bit of masculine energy due to their active, fearless nature. The sun is a masculine symbol which is why the Egyptians associated it with her. Some egyptian cults pulled some distorted frequencies from the lion beings in order to learn about aggressiveness, power and blind pride (Amen). The energetic signature of the lion beings symbolize the ability to destroy and rule. What this actually means is the ability to destroy our negative belief patterns that hold us back and live with discipline and rule our lives according to our highest good. The Hindu goddess Durga harnesses the power of the Lion Beings. She is the ultimate symbol of sovereignty and what the lion beings represent. So if you want to understand them further research Durga. Interestingly enough, Kali, the hindu god of destruction is considered to be an aspect of Durga. Kali definitely embodies the Lion Beings fierce dedication to destroy what is holding their energy back. You can kinda see how their energy might be distorted if used outwardly instead of inwardly though. I will update this as more information settles, and I am not so rushed. Very informative information of the cat people including book recommendations on these beings.